I have been wanting to review this game since we started Steam Shovelers. Being thoroughly American, Cricket is something that I was only exposed to in a throw-away line in the live-action Teenage Mutant Ninja Turtles movies. Going into this game, I had absolutely no idea how Cricket is played. I had a vague idea that it’s related to baseball: there’s a pitcher (bowler) and a batter (batsman), and points are scored by completing runs. Other than that, I was clueless. After reading through countless Wikipedia pages and crying only a little bit, I dove right in. 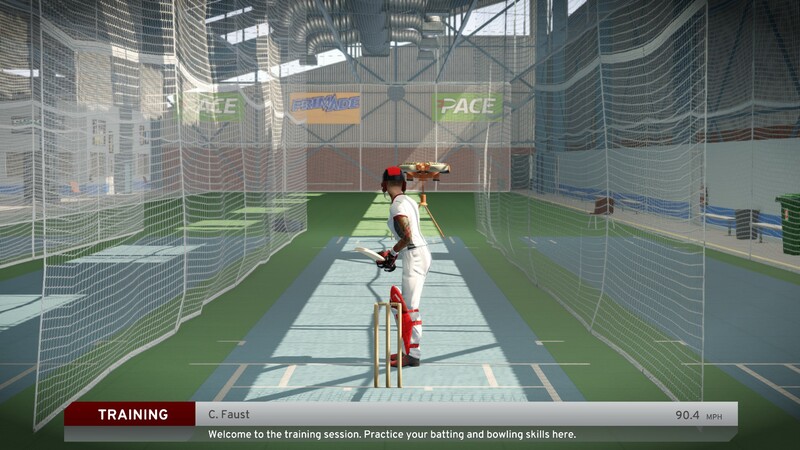 I’ve dumped quite a bit of time into Don Bradman Cricket ’17, but I still don’t know what I’m doing. That’s not to say that I’m not having fun. The biggest complaint I’ve seen about this game is that the controls are clunky and it’s a glorified roster update. As someone who is heavily invested in the Madden franchise, I’m well-used to paying full-price for a few new names and an updated UI. As for the controls, I didn’t find them any more complicated than those used for MLB: The Show or other baseball games. But I strongly suggest using a gamepad over a keyboard for this; I destroyed my hands so you don’t have to. Bowling uses both sticks; Left Stick chooses the kind of pitch the player will deliver, while Right Stick gives timed commands to start the bowl and release the ball. There are several buttons players can use to change the delivery of the bowl, such as slowing or speeding up the ball or changing the direction the ball will go. There are special bowl deliveries players can use to really trip up batsmen (mostly by putting major English on the ball), but these are rather complicated and difficult to execute. There’s a delicious sense of satisfaction and triumph when you get a bowl just right and hear the distinct sound of the ball smacking against the wicket sticks or the hollow “whoosh” of the batsman missing the ball. A bowler gets six tries per batsman to hit the wicket sticks. After the round of pitching (called an over), the game shows you a color-coded replay of all six of your throws so players can adjust their tactics. This was especially helpful for me as I was learning the distinct paths each bowl type took and the effect the required bounce had on the ball. The most difficult part of bowling for me was getting the release timing down. If the bowler steps over the boundry line during the pitch, it counts as a foul. I played on the easiest setting and I still had a hell of a time getting a feel for the timing. Batting is fairly straightforward. Players select a batting distance with A, B, X, or Y, and swing with RS. Being much more familiar with baseball, it was difficult to judge when I should have gone for runs and when I should have stayed in the crease. My instincts told me that as soon as I heard the crack of the bat, I should take off, which led to a lot of outs at first. Like most other recent sports games, there is an option to create your own character for Career Mode. There are quite a few options for customization; a War and Peace length list of surnames, custom given names, tattoos, etc. I went through the usual 50 Shades of Ugly in the facial model builder before settling on my Dollar Store Ruby Rose, complete with Lesbian Standard Issue undercut and 2edgy4me tattoos. 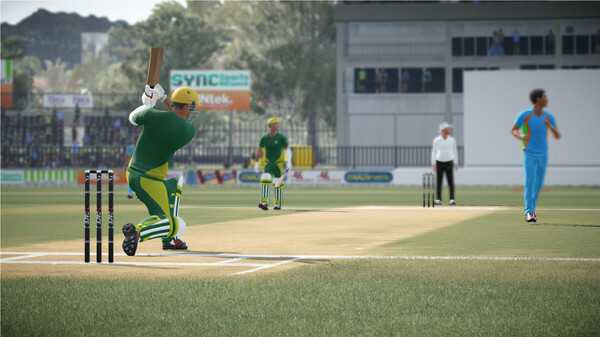 All in all, Don Bradman Cricket ’17 is a fairly solid sports title. It seems fairly clear of visual bugs that plague games like FIFA and Madden. For someone who had absolutely no idea how Cricket works, it was a fun way to learn a new sport. Although, I wish the price point were a bit lower. I had tried to get away with simply reviewing the demo version, but that was a bare-bones batting cage simulator and bowling practice area. I couldn’t even access the controls tutorial in the demo, which led to a lot of frustration. Is it a game for everyone? No, but I found it to be loads of fun, and it’s a nice title to go back to for a few hours every now and again.